Gon and his 3 boys went out yesterday, they looked for dorado, but the bite slacked off, so they went inshore and caught a few nice roosters. Way to go guys! Cole n Sophia Tyler, two future captains for sure! Phil and Mitchell Krmpotich having fun n catching a few . Boy have I got a lot of flack for not posting over the last few months... Mostly I have been out of town fishing my beach trips and seminars while the boys are here in Cabo taking folks out locally..
May n June recap. May N june are traditionally super months to fish the Cabo area, its when we get the giant roosters and all other great inshore fish like jacks and snappers, and its usually very good marlin fishing... This spring we were hit with the el Nino cold water and really messed things up..I mean, we had some very good fishing days, but one day the water is 78 and the next its 68, what the heck. Fish don't like that.. So even thought he big fish were here, they sure didn't want to eat...So it was a so-so season here in Cabo. Same goes for the beach on the east cape, it was super until the cold water took over, then the fishing was off, we cast and hooked big fish almost everyday, but the cold water had a huge effect on the fish.. Right now, we have had some super offshore fishing, and then, again, its slow for a day or two.. 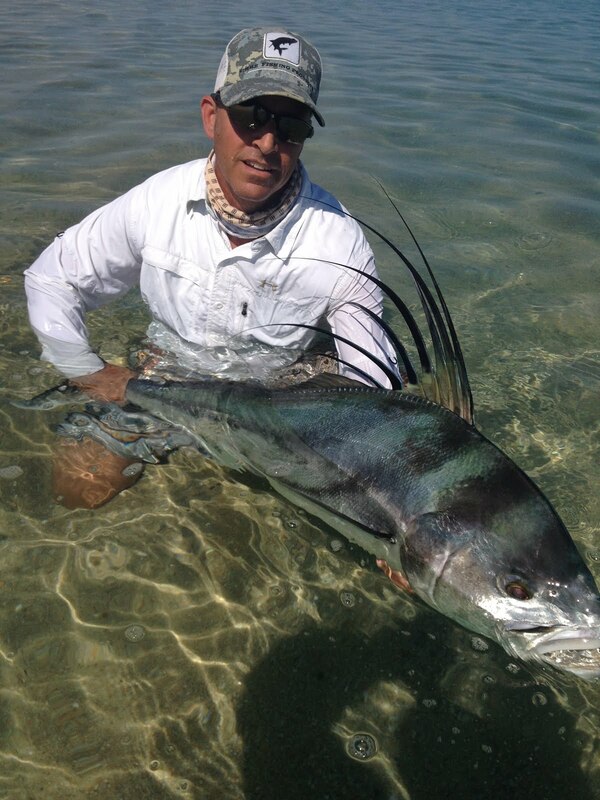 Still some very big roosterfish inshore. I have some pictures form last month that I will post in the next few blogs.